Want more attention? Following are some tips on how to make your profile stand out from the rest. Your profile is the most important tool you have when you’re online dating. It’s your marketing vehicle – your entryway to meeting others. It’s a snapshot of who you are, and also a tool to help strike up conversation. Instead of looking at your profile as a form to fill out, it helps to look at it as communication. It’s your pick-up line. Sound intimidating? Don’t let it be. Many daters choose to use generic terms to describe themselves and what they want, so making yourself stand out from the pack is the first step to online dating success. Don’t make religion your focus. While you might be very devoted, talking only about your religion is not going to set you apart, especially when you’re a member of a Christian dating site. You want to engage others in conversation. Instead of making your religious views the focus of your profile, try talking about other aspects of your life. What makes you want to jump out of bed in the morning? What do you like to do on Saturdays? Getting to know you as a person – outside of your faith – is just as important, no matter how religious you are. Avoid ex talk. Sure, it’s tempting to include a list of what you’ve learned in your relationship history, but there’s no need to discuss it on your profile. Even phrases like: “My ex would call me introverted” makes it seem like you are still mourning the loss or that you consider your ex important. This isn’t about what your ex thinks – it’s about you. Avoid generalizations. Maybe you’re a good Christian, but don’t describe yourself this way in your profile. Instead, talk about the good deeds you’ve done – how you volunteer at your church, or bring dinners to shut-ins, or teach children bible study classes to grade school kids. Be specific, so your potential dates get a clear picture. Use full sentences. Match.com did a recent study and found that a large majority of online daters are turned off by text speak and grammatical errors. Show that you know how to read and write, and don’t take shortcuts in spelling. Have a friend proof your profile if you’re unsure. Be authentic. 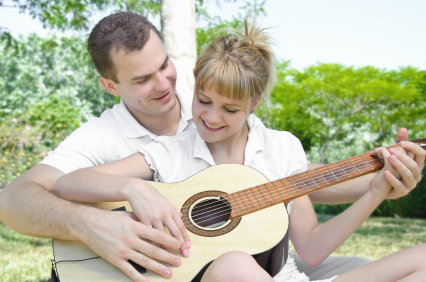 Many online daters think they know what others want, and are afraid they fall short. So they lie – by posting a picture from five years ago or fudging age and income a bit, or even by saying they have a PhD when really they barely graduated high school. It doesn’t serve you to be anything less than honest. Your dates will eventually find out, and then where will you stand? Embrace who you are, even your perceived flaws, because the right love interest for you will find you. Finding love on one of the better Christian dating sites for an exclusive long term relationship and marriage, can be a great or difficult journey. As followers of the one who changed the world, Christians walk a special path. It is not the main way, it is a less-traveled one; and when we look for love and eventually a partner to share our lives with, we know that person has to be special too. In the search for someone who shares our beliefs and faith, online dating sites can be a big help. It’s no wonder that a special category of Christian dating has emerged and grown. Still, these sites should be navigated with care when you’re out to find a Christian match. How Can You Tell The Site Is Christian? You can’t tell a site is Christian simply because of its name, or because the search engines classify it as such. However, the fact that it is called a Christian dating site means it will attract people interested in others of the same faith or spirituality. And the people who make up its membership are the main thing. Other features that help make a Christian atmosphere are the advice columns and blogs, any religious question-and-answer materials inside, and the general manner in which the matchups are assisted. 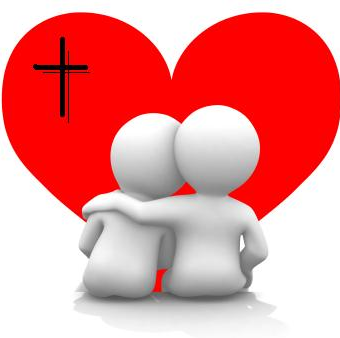 Why Look For Christian Dating Sites? Christians are urged to look for partners who are also Christian. You’ll hear the phrase “equally yoked” often, and it refers to a Bible passage describing the need to be similar in both the type of faith and the depth of your commitment to that faith, when you decide to spend your life with the other person. Online dating sites and especially Christian ones can actually help you find out both of those things. On signup, the dating site eHarmony asks its members to complete detailed personality profiles aimed at helping uncover specific values and fundamental attitudes. They report that this method reveals compatibility very successfully. A website which allows you to identify your values, and targets matches for you with others who share those values and religious beliefs, is likely to be a respectful one. ChristianMingle, for example, asks you to name your church right off the bat, as well as how often you attend services. Naturally, you don’t have to date within a specific denomination, but the site’s algorithms may find matches far more easily when it has that information. If you browse profiles on a site, you may need to find out what some of the many types of churches and denominations are. And more importantly, what are the deal-breakers, for you? If a partner must share your belief in infant baptism, it’s better to find out before trying to set up a date with someone who believes differently. ChristianCafe, for example, is a Christian-owned and run site so it may help you find out details on different denominations. Via the internet we can chat and participate in forums on all sorts of interests without having to meet first. On a dating site there are forums and chatrooms, all meant for these initial contacts. The sites themselves may offer various topics anyone can speak up about, and sometimes blogs for members to express themselves. Taking part in chat will help you identify a few things about others — and you can invite someone whose profile interests you to enter the chat, too. It’s an opportunity to sound them out on a few things, get to know them a bit. That first conversation doesn’t have to be awkward, because you began it online at home. If you decide to set up a date you’ll have at least some idea of who this person is beforehand. When you’ve joined a Christian dating or personals site make sure you explore it — look around. Find your way to the chatrooms and see what people are talking about there; ask customer service about things you may not be able to find; and if the site sends messages to you, take a good look at them. The administration may ask you questions that will help guide you in your search for that special someone. And when emails or personal messages come in, treat them seriously. A Christian site is YOUR dating arena — and people with similar ideas are arriving here all the time, making online dating an excellent possibility for discovering love that can be lifelong — or more. Take advantage of these special offers to try out the service and save on the cost of your next dating membership.